The Henrys, speaking at a press conference.. The Henrys couldn’t keep up with their Bank of America mortgage after Debbie had a stroke and could no longer work full time. The value of their house had plunged by two-thirds, and the bank and its insurer had been bailed out with billions of taxpayer dollars. Yet it abruptly ended the Henry’s reduced payment plan and without explanation, tried to instead evict the family. 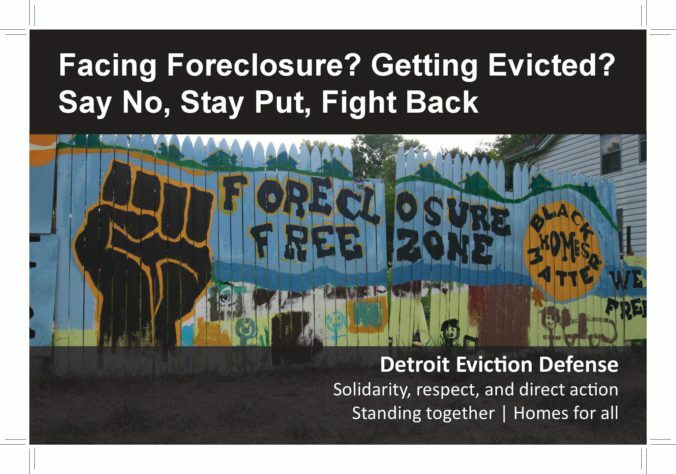 We joined Occupy Our Homes in backing the Henry’s fight against the bank’s cruel intentions. The public outcry helped this family get a modified mortgage and stay in their home! 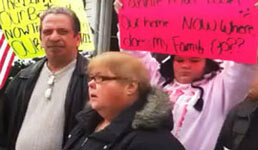 Protesters tell Flagstar Bank – stop trying to evict Barbara Campbell!